A seller’s reality check may often come to late. Usually after their listing produces very few showings or a prospective buyer is lost to a competing — and lower-priced — home just down the block. In this very price driven market, no longer are buyers letting their emotions interfere when they decide to buy a home — they’re out there looking for deals! Most listing agents feel, “Many sellers whose homes are sitting on the market without a buyer in sight had unrealistic expectations from the start.” Most sellers don’t want to price their properties where they need to be to result in a completed sale of their home. A home is likely overpriced if it doesn’t get any showings in the first couple of weeks it’s on the market. Even more proof a price cut is needed: Buyers and /or Agents are interested enough to call the listing agent for information on the home but still aren’t scheduling showings. Seasoned Agents feel, if a home doesn’t make a buyer’s “showing cut,” and people don’t think it’s worth the time, hassle or gas to deserve a look, it’s likely overpriced. Worse yet, if other real estate professionals fail to bring their buyers to the property because of the list price… now you have the real estate community rejecting the asking price. If you can’t get people into your home, it’s highly unlikely that it will sell. Perhaps the number of showings isn’t a problem, you have great agents (most likely… The Smiths) that have brought a number of prospective Buyers through your home, and yet there still have been no offers. If you’re getting showings but not getting a contract, that means you’re still not quite low enough in your asking price. Most likely it means, you’re close, but there’s so much competition out there. You have to be priced with along the lines of the homes that ARE SELLING. Don’t make the mistake of wanting to stick at the current List Price with the homes that are also sitting there on the market and NOT SELLING. A basic guideline that real estate professionals use is: 10 showings and no offer or two consecutive weeks with no showings, you are most likely overpriced for the current market. This is true especially in this very competitive market. In markets where the median price keeps falling, it’s important to regularly monitor what homes are selling for. Your Real-estate agent should provide you with up-to-date information on the market to determine whether the home is still priced correctly. When you start off at the wrong number to begin with its called “chasing the market”. Sellers have no issue with increasing their list prices when the market is going up… However, when the market starts to soften they have difficult issues with adjusting their list prices. Historical data isn’t quite so powerful anymore. You have to look at what is selling now, and what it is selling for. That’s what your property is worth today. Forget about what things sold for 3 months or even 6 months ago… Take a look at what the last sale was, and that is what the new number will be. Don’t “chase the market down,” be priced right and get your house sold. If buyers who do walk through the home have the same negative reactions to it, that could be another red flag that the price needs to be dropped. Buyer feedback, collected from your real-estate agent, may reveal what the other houses in the same price range have different from your listed property. Listen to your listing agent, they sell homes for a living. They do this everyday and have professional knowledge of what today’s Buyers like and dislike in their home search. Sellers are thinking from an emotional point of view, they are emotionally invested in their home and sometimes can’t see the deficiencies in the property because… lets face it, “IT’S THEIR HOME!” But once you put your home on the market it no longer is your home, it is inventory on the market. Be open to the cosmetic changes or areas that might need a remodel, that might be the one thing needed to attract buyers. To address the disparity, sellers can either make the needed remodel or cut the price. Buyers are extremely fussy these days and the least they see to “un-do” in a property the better position a seller will be in. Remember that the Buyers out there do not necessarily like all that you have done in your home. Don’t become sensative when you hear the feedback. Embrace it! Fix it! Then you can Sell it! Remember…You can sell anything anywhere. If the price is right it will sell. If a price cut is in order, don’t cut by small increments. Several smaller decreases could make a seller look desperate, but a larger decrease will generate more interest. A small price reduction is nothing in the grand scheme of things. Again, a big mistake is pricing the home too high from the start, real-estate agents say. Not only could overpricing lengthen the time on the market, but it could also cause the home to sell at a greater discount in the end. That’s because prospective buyers often get the impression that there’s something wrong with stale listings or, worse yet, buyers assume the seller is desperate and willing to accept a much lower price. This entry was posted in boca raton, Country Clubs, delray beach, luxury real estate, Luxury Resort Portfolio Lifestyle Guide - The Art Of Living Well, Mizner Country Club, The Smiths on June 30, 2008 by Luxury Resort Portfolio. 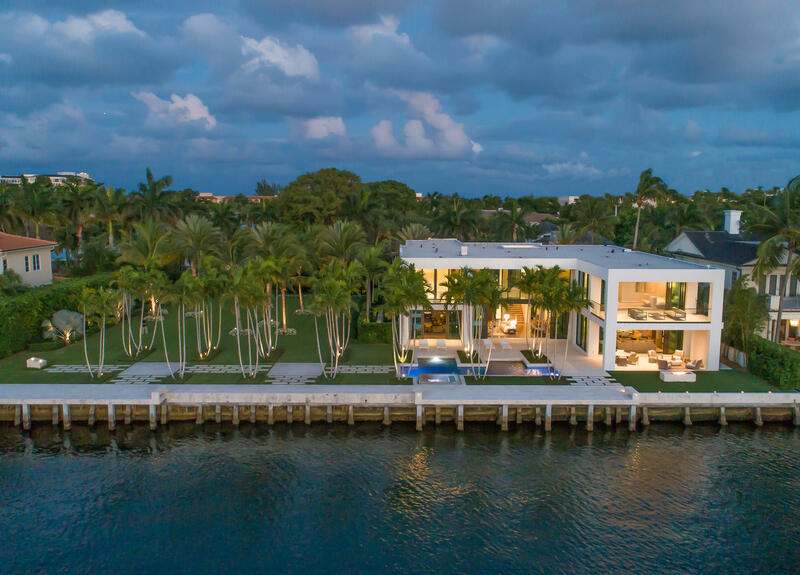 The South Florida Real Estate boom is just a memory…as one of the nation’s hardest hit real estate areas, South Florida is witnessing properties linger for vast periods of time on the market. What used to be only a little over a couple of months on the market, has turned into quite often double digit numbers of months and even years to sell a property. According to an article published in Sunday’s Sun-Sentinel, 1 in every 10 homes have been on the market for more than one year, and by their estimates, that results in 9,828 homes. At least 1,058 of those properties have been on the market more than 2 consecutive years! However, industry experts claim that even those figures are quite conservative estimates, because the numbers do not reflect properties that were pulled off the market and put back on when Sellers switched agents, made home improvements, or let their listing expire and entered it as a new listing to avoid appearing as stale inventory and to wipe clean the days on market. Agents have noticed over the past couple of years that sellers are “overly optimistic” when they initially list their home thinking that the market has been slightly unchanged since the bygone days of the boom. They have a “hard time accepting or adjusting their mind to the new value of their property” and are reluctant to adjust their list prices in time with the current market. Resulting in always being “behind the eight ball” and languishing on the market for way too long. In National news, home prices posted a record 15.3% steep decline. The S&P/Case Shiller Home Price Index has fallen for 21 months straight, based on a twenty city index that has been tracking data for 19 years. What is more alarming, recent drops have been particularly steep. 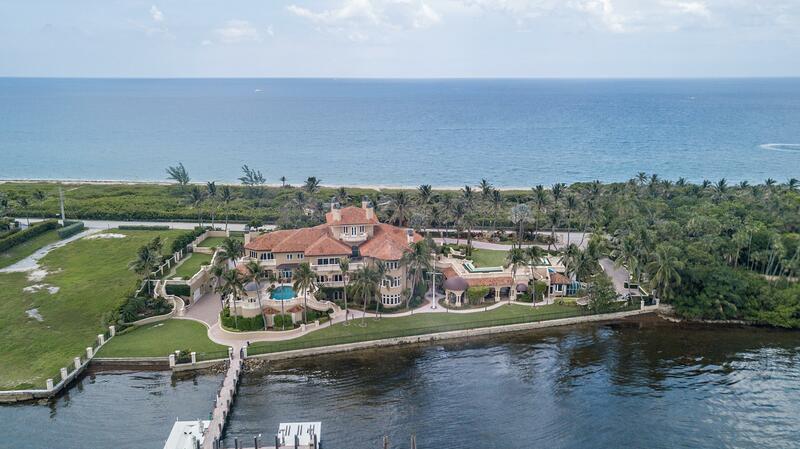 Home prices plunged in areas like Miami (South Florida), seeing 26.7% drops from one year ago, and an additional loss of 4.1% in property values in April 2008. Most sellers claim they will “ride it out” and hold onto the property for a couple of years until the market recovers… However, what most sellers don’t realize is that the real estate market does not change as quickly as the financial markets. Based on our recent fledgling economy, the mortgage crisis, the astronomical amount of homes facing foreclosure, the war, and upcoming presidential elections… This market is not turning around anytime soon. Most people forget that in the 1970’s it took the real estate market more than 14 years to rebound. Seasoned agents claim it will take a few variables to start changing the market; home prices have to become affordable once again, inventory has to decrease, and the foreclosure mess has to be resolved. The plummeting prices are causing a whole other problem for homeowners…NO HOME EQUITY! As home prices are continuing to fall, homeowners are left with no equity in their homes to tap for emergency purposes or are having their HELOC’s (Home Equity Line of Credit) frozen by their lenders. As listing agents we hear quite often from our Sellers, “We need X-Amount of dollars to walk away from this house to be even,”… Unfortunately, what Sellers fail to realize is that “what they need financially and what a Buyer is willing to pay these days for their home is two completely different scenarios”. The result is often leaving homeowners underwater and owing mortgages than are more than the home is worth. Philip and I, as agents ourselves see these exact problems affecting our clientelle. Unfortunately, we do not create the market, we as real estate professionals interpret the market and facilitate transactions. We have noticed that once both the Buyers and Sellers are willing to buy/sell a property for today’s current market value…a deal can be achieved! A real estate agent is quoted in Sunday’s piece; “You’ve got to face the market…You have to give it what it wants”. It’s all numbers people! It’s ALL NUMBERS! Note: If you are currently subscribed to our Luxury Resort Portfolio Blog you are NOT subscribed to the Mizner Country Club – Real Estate News Blog. Please click on the link today and subscribe to receive all the latest updates of real estate transactions happening at Mizner Country Club. Thank you for all your continued encouragement and support!!! 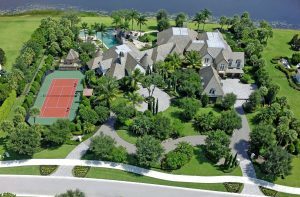 This entry was posted in Broward County, florida, Gated Enclaves, Golf Communities, luxury real estate, Luxury Resort Portfolio Lifestyle Guide - The Art Of Living Well, Miami-Dade, million dollar, Palm Beach County, The Smiths on June 24, 2008 by Luxury Resort Portfolio. Since I don’t want to soon be known as the “Princess of Doom & Gloom News”, I thought this Friday I would send all my loyal readers off for the weekend on a lighter note. I’ve decided on Celebrity Real Estate News! Admit it! You know we are all curious where they are living? What they are buying? And how much did they pay for their digs? So I did my research today and came up with a small list of transactions that occurred over this past week in the land of “Celebrity-ville”. Enjoy Everyone! Cindy Adams celeb gossip columnist (New York Post) reported today about the Honorable Judge Judy and Judge Jerry Sheindlin’s insanely large 24,000 square foot manse in the back country of Greenwich, CT. Being that Ms. Adams is friends with the Sheindlins and has been to the house, went on to describe how Judge Judy is not living “too shabby” for a civil servant who’s TV Show went into syndication. The Builder, Mark Mariani says that the Sheindlin’s kitchen/family room is the largest in the entire state of Connecticut! Not bad for someone who sits on the bench and listens to nonsense for a living. Adams is claiming, her good friend “Your Honor” makes over $40 Million a year! What?!?! Exactly how much do judges make these days? Britney Spears (Pop-tart Princess) has received the “A-OK” from the L.A. County Court Commissioner to put her mansion on the market. Being that Britney is a “few fries short of a Happy Meal these days” and her dad Jaime Spears is in charge of her finances, Britney and Poppa Spears had to get court permission for them to list the house. Ms. Spear’s home is located in the very posh gated community of “The Summit” it has 6 bedrooms and 6 full and one half baths. Her neighbors claim that the presence of the paparazzi outside of the community’s gates is the reason why her neighbor Ed McMahon has not received a single offer on his home. God knows he has “Real Estate Troubles” of his own! Surely he does not need the “Spears Crazy Train” to add to the mess he’s going through. Lenny Dykstra (Baseball Outfielder) is selling his Lake Sherwood estate located behind the gates of Sherwood Country Club for $24,900,000!!! The house is said to be 12,360 square feet, has 8 bedrooms and 7.5 baths, situated on 7+/- acres. Apparently, Dykstra did not amass that entire pile of money playing outfield for the Mets & the Phillies. Mr. Dykstra became somewhat of “Stock Market Genius”, author, and motivational speaker after he retired from baseball at the age of 35. Go figure. He purchased the home from Ice Hockey great Wayne Gretzky in August 2007 for $18,500,000 and looks like the Dykstras have changed their mind and are ready to move less than a year later. In New York City, Heather Mills (Famous for once being married to a Beetle)has just purchased a $5,000,000 West Village apartment. Thanks a lot to Sir Paul McCartney’s hefty divorce settlement! Carly Simon (Singer) also listed her West Village duplex for $3,800,000 and thinks nobody will sell it better than her sister Joanna Simon, Broker/Vice President of Fox Residential Group. Finally, Rachel Ray (Celebrity Chef) and husband John Cusimano have closed on their 6.2 acre compound in Southampton for $2,900,000. Well that’s all I have for this Friday! Enjoy your weekend and see you back here on Monday. Don’t forget to take a look at the “Mizner Country Club – Real Estate News” blog! There was NEW information posted today about a new listing and price reductions in Mizner Country Club. This entry was posted in luxury real estate, Luxury Resort Portfolio Lifestyle Guide - The Art Of Living Well, million dollar, real estate, The Smiths, wealthy on June 20, 2008 by Luxury Resort Portfolio. In an effort to satisfy all our loyal subscribers’ requests, Luxury Resort Portfolio has recognized your recent comments and suggestions. That is why we are very proud to introduce a new feature on the Luxury Resort Portfolio Blog. 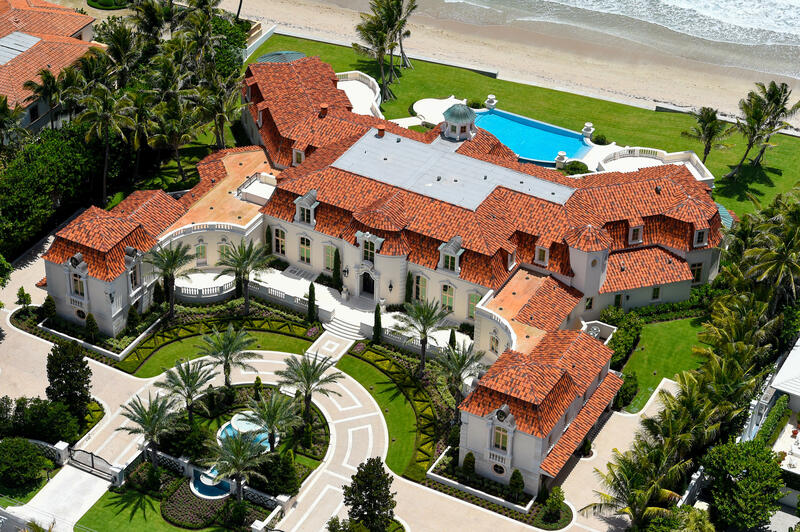 We have created the “Mizner Country Club – Real Estate News” Link. 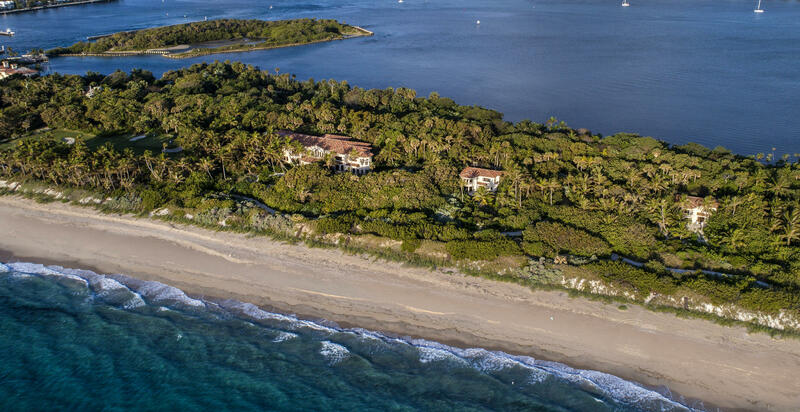 A Newsletter completely devoted to providing you the “Luxury Resort Portfolio Scoop” on the Real Estate transactions happening in Mizner Country Club. This community newsletter is an added tool for all our friends, neighbors and clients to have access to the latest and most accurate real estate information on transaction activity happening within our lovely gated walls. We have compiled the information based on MLS and Palm Beach County Property Appraiser Information. The Mizner Country Club – Real Estate News Blog will work in direct partnership with our corporate Luxury Resort Portfolio Blog. You could access the Mizner Country Club community information through a designated link on the Luxury Resort Portfolio Blog or directly at https://MiznerCountryClub-RealEstateNews.blogspot.com. If you are interested in the real estate activity at Mizner Country Club, subscribe to Mizner Country Club – Real Estate News…and receive community updates vie email automatically when new data is posted! The Smiths – Luxury Resort Portfolio always welcomes your suggestions and input on what we could do to improve our website and blogs, so please feel free to let us know what you would like to see featured! There is 1 property pending in Mizner Country Club. 8681 Valhalla Drive (San Sebastian) in “Pending” status. Mizner Country Club currently has 62 Active listings on the market. These properties are ranging in List Prices from $619,000 to $3,295,000. This entry was posted in boca raton, delray beach, Gated Enclaves, Golf Communities, luxury real estate, Luxury Resort Portfolio Lifestyle Guide - The Art Of Living Well, Mizner Country Club, real estate, The Smiths on June 17, 2008 by Luxury Resort Portfolio. Location: Andalucia Lane, Delray Beach, Florida. A luxurious new golf course community, Mizner Country Club captures gracious Palm Beach style centered on an 18-hole Arnold Palmer signature golf course. The award-winning Grande Clubhouse is accompanied by world-class fitness, tennis, and swimming facilities. Property: Magnificent custom features and upgrades complement this lakefront Mediterranean estate capturing picturesque views over the lake and golf course. Hosting al fresco entertaining with an oversized lanai summer kitchen, a Chicago brick patio frames the Pebble Sheen 40-foot lap pool with hand-painted tile and waterfall spa. Residence: This expanded Segovia villa presents meticulous detailing, from the custom exterior stonework and corbels to the Travertine Gold marble floors, elaborate ceiling treatments, and faux finishes refining the elegant interior décor. Five bedrooms, 5 full and 2 half baths, and a 3-bay garage are included in 6,480± total square feet along with myriad luxuries including the back-up generator, accordion hurricane shutters, surround-sound system, security surveillance, whole-house water filtration, and Aprilaire anti-allergen heating/cooling system. All bedrooms have custom-fitted closets and individually designed baths. First Floor: The view-filled formal living room is dramatized by a 22-foot domed and coffered ceiling, double-height window wall, and an intricate coquina stone fireplace. An arched colonnade sets off the 2-story tray-ceilinged formal dining room. The handsome office is finished with custom built-ins and floors of Brazilian cherrywood. A view-filled bay window illuminates the dine-in gourmet kitchen offering antiqued custom cabinetry and granite counters. The family room with coffered ceiling opens to the pool through stylish French doors. Gracious elegance and luxury define the private master suite featuring tray ceilings, a view-filled bay-windowed sitting area, plantation shutters, poolside access, custom-fitted cherrywood closets and an opulent spa-style bath with Jacuzzi tub, frameless shower, granite counters, and Italian porcelain tile floor. A separate guest/staff suite, powder room, and cabana bath complete this level. Second Floor: Highlighted by tray ceilings, this level features a dramatic loft with ironwork-embellished arches, plus three additional private bedroom suites, two with herringbone-patterned Brazilian cherrywood floors. This entry was posted in boca raton, Country Clubs, delray beach, florida, Gated Enclaves, Golf Communities, Luxury Resort Portfolio Lifestyle Guide - The Art Of Living Well, Mizner Country Club, Palm Beach County, real estate, The Smiths on June 16, 2008 by Luxury Resort Portfolio. Is The Trump Name Really Worth What People Think? In local news, Buyers are wondering how much is the “Trump” name really worth. In a lawsuit filed on Tuesday in Miami/Dade Circuit Court, the Plaintiffs (Buyers of luxury condominiums) claim that condos they purchased and that bear the Trump moniker are worth 36 percent more than similar units in buildings that do not carry the Trump name. Damn it! They want to keep it that way! The lawsuit was filed against the developers of the Trump Towers I, II, and III buildings located in Sunny Isles, Florida. Approximately 80 condo buyers, named in the lawsuit claim that the developers, The Related Group and Dezer Development used the Trump name to attract buyers to the project. Law.com reveals that Trump’s name can only be used temporarily and could be changed once the buildings are completed. (Hmm? Bait & Switch?) The wealthy Buyers fear that their condos will lose significant value without the cache of the Trump brand associated with their investment. I’m asking…who in the world is still buying condos in Miami? Are these people suicidal investors? So much money sitting in their pockets, they have enough to burn it? God Bless Them!!! The Plaintiffs are asking to cancel their sales contracts that currently total over $100 million and their deposits returned to them that total over $20 million. Seems to me…like some people caught a serious case of “Buyer’s Remorse” and are trying to “wiggle out” of some poor real estate choices! Good Luck! Let us all know how that works out for you? The unhappy investors are also claiming that the Trump name appeared on promotional materials of the project but not on any of their condo documents or purchase contracts. Then there is the other issue, allegations that the developer “operated a fraudulent and misleading resale program by manipulating” asking prices in Tower I to support the inflated prices of the units in Tower II & III. The Donald, who is not named in the lawsuit, and is in Scotland this week (was getting a chilly response from the Scottish locals on his proposal of a future golf course project amid environment concerns that the project would bring to the Aberdeen area), was quoted as saying that he was “honored” by the lawsuit. Well I’m glad that he’s flattered…This just supports his decades-long crusade of turning his name into one of the world’s most valuable brands and commodities. I agree with Mr. Trump…branding is everything! Loyal subscribers remember the “Luxury Resort Portfolio” name!!! This entry was posted in Donald Trump, luxury condos, luxury real estate, Luxury Resort Portfolio Lifestyle Guide - The Art Of Living Well, Miami-Dade, The Smiths, wealthy on June 13, 2008 by Luxury Resort Portfolio. Buy One Home…Get One Free? In San Diego, Buyers can buy one home, get one free. No… I’m not making this up! Who makes this stuff up? I just enjoy reporting it! My brother-in-law, who lives out in San Diego County, California saw the advertisement in the local paper and couldn’t believe it himself. A San Diego developer frantic to clear inventory has come up with a scheme to lure potential buyers into purchasing his product. Southern California much like South Florida, is a market that is out of control with foreclosures and plunging sales. 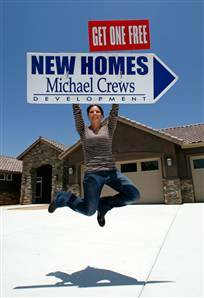 Michael Crews Development will give away a “Row Home” valued at $400,000 in Escondido with the purchase of a $1.6 million, two acre “Luxury Estate Home” built in Royal View located in San Pascqual Valley. “We are targeting a niche market of investors who are interested in the opportunity to buy a new home for themselves and get a free rental property or second home for family members,” developer Michael Crews said in a statement. It seems the Michael Crews planned to run the offer for only two weeks in May but the developer decided to extend it through June to give potential buyers more time digest the idea of buy one get one free. Since the first advertisement went up nearly two weeks ago, they claim one man has made an offer to buy a Royal View estate home, but chose not to take the free row-home. My suggestion Buyers: Ask for a $400,000 credit off the Luxury Estate Home list price and tell the developer “Thanks, But No Thanks…Keep the row home, I’ll take the money!” (Who likes or wants to pay for property taxes on two homes???) However, the developers have a solution for that as well. “If you don’t know what to do with your free home, you could always give it away,” Berry said. My thought: Looks like someone is really desperate to clear inventory! Home sales in San Diego County were down 18 percent in April from a year-earlier, while the number of homes going into foreclosure rose 130 percent in the first quarter from a year earlier, according to DataQuick Information Systems. This entry was posted in Country Clubs, Gated Enclaves, luxury real estate, Luxury Resort Portfolio Lifestyle Guide - The Art Of Living Well, real estate, The Smiths on June 10, 2008 by Luxury Resort Portfolio. Rental vs Purchase? What’s A Buyer Going To Do? Hope everyone had a great weekend and enjoyed the fabulous weather that stretched all the way from the Northeast down to sunny South Florida. Temperatures were not the only thing on the rise. Philip and I have experienced a slight increase in the number of showing requests in the past 4-5 days. We are noticing a trend that people viewing property are more interested in rentals these days than purchasing a home. Almost every showing we did over the weekend was for either seasonal or yearly rentals. People seemingly want to “test drive” the property these days before they take the plunge and purchase. With so much inventory at their disposal, and so many sellers willingly renting their listed homes, people are holding off on making a commitment on buying a home and renting with much less risk. I surveyed a few of the people this weekend by asking them “What is the main factor stopping them from purchasing a home at this time?” Overwhelmingly, they all said the same thing…”Prices continue to drop…so why buy now”? They all want to have the South Florida experience, but most were genuinely concerned with making the investment. A few want to make sure they even like the area before they purchase their second home here, another couple we worked with wanted to be certain the community they were renting in was going to be the right fit for their family, and the rest just want the lifestyle without the financial risk. All betting that home prices will continue to decline, and that is when they will make their move. We also see steady traffic coming from our neighbors to the north. Canadians continue to flock to Florida, predominantly into Palm Beach County. 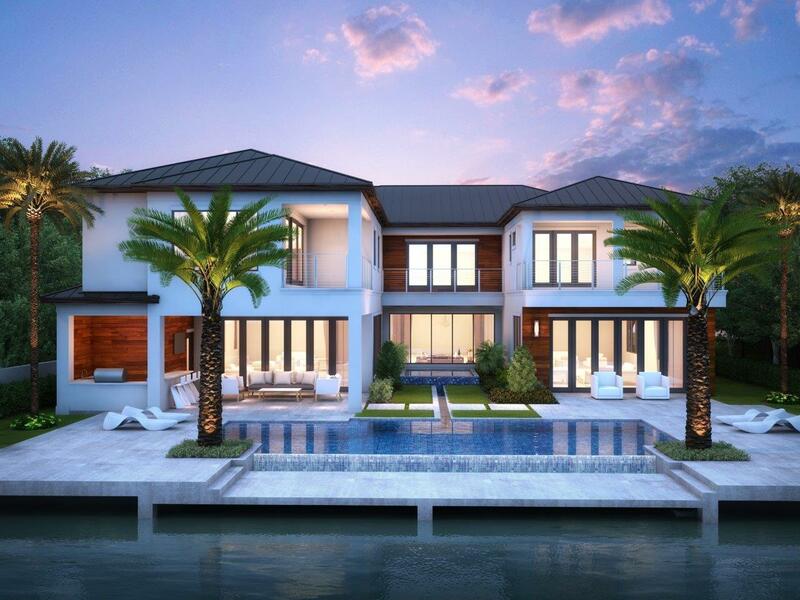 Our colleagues in the Miami/Dade area report that they are seeing an increase in European and South American Buyers/Investors in their market due to the weak dollar. Taking advantage of the currency situation, overseas buyers are mostly interested in making their purchases in America’s most “Trendy” and “Hip” cities such as Miami, New York, and Los Angeles. This year, brokers in the Hamptons claim that a majority of this season’s coveted summer rentals were booked by Europeans. Seems like the majority of these investors want only the “big-city”areas that offer them world renowned fine dining, luxury shopping, arts & culture, and an active nightlife. I’m guessing… it might be safe to assume, that it will be a while before they discover the suburbs!!! This entry was posted in boca raton, Country Clubs, delray beach, Luxury Resort Portfolio Lifestyle Guide - The Art Of Living Well, Mizner Country Club, Palm Beach County, real estate, The Smiths on June 10, 2008 by Luxury Resort Portfolio. Even The Rich Are Feeling The Pinch! Talk about Main Street problems meeting Money Street! These days it seems no one can escape the foreclosure mess that is plaguing this country. Did anyone take a look at today’s headlines? I couldn’t believe it! What does it say about us when even “Multi-Million Dollar Earning” celebrities and athletes are having a hard time making ends meet? Isn’t foreclosure an “Average Joe” problem? I guess not…even the rich are not immune to financial pitfalls. Every media outlet today reported on the sad tale of Ed McMahon (legendary TV Personality), facing foreclosure and is about to lose his Beverly Hills Mediterranean mansion because he is in arrears on mortgage payments. I bet he’s wishing someone would knock at his door and hand him one of those “nifty” Publisher Clearing House checks; that sure would come in handy. Then I came upon an article on Jose Canseco (Major League Baseball Player) walked away from his $2.5 million dollar Encino, California estate because his mortgage payments “didn’t make sense anymore to keep paying”. Huh??? But the best celebrity woe is the one I saved for last… a legal notice appeared in the Fayette County, Georgia local paper that Evander Holyfield’s (Heavyweight Champion) home in Georgia is scheduled for a Bank Foreclosure Auction on July 1st. His expansive compound is a 54,000 square foot mega-mansion, with 104 rooms, and is estimated to be worth in excess of $10 million dollars. If not to make matters worse for the guy… the mother of one of his nine children filed a petition for contempt, claiming he has missed 2 months of child support for her 10-year old son. I guess being a celebrity guest on “Dancing with the Stars” doesn’t pay so well? You can’t help but shake your head in disbelief, and wonder how is this happening? Sad really…Today, homes in foreclosure topped 1million. This is not just a working class problem; this is quickly becoming an “Everyone” problem. This entry was posted in estate, Luxury, mansion, million dollar, real estate on June 5, 2008 by Luxury Resort Portfolio. Negotiating Tactics In Today’s Crazy Market! Can you believe this crazy real estate market? How did we get to this point? Everyone is at a stand-still…and each side is waiting for the other to crumble! Both Buyer and Seller are refusing to accept the other’s position. No wonder deals are not happening! How I long for the days of the not so distant past when inventory was low, demand was high, and homes were not on the market for very long. 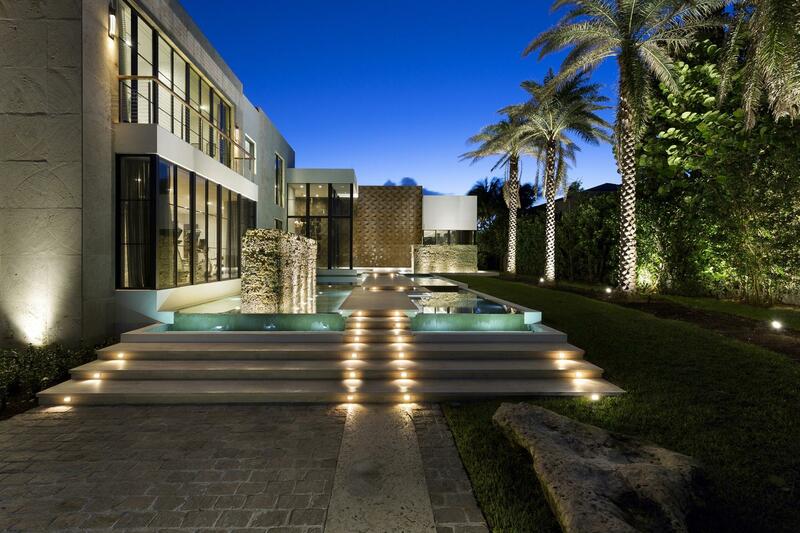 Buyers were anxious to purchase their South Florida dream home, and felt confident and elated in their purchase. Our Sellers were getting stratospheric prices for their homes and laughing, skipping and nearly pinching themselves all the way to the bank. Realtors were superstars! These days not so much, no matter how hard we work, no matter how much we do, we are told we can’t do anything right! How quickly they turn on us. Boy! Talk about a 180. That is why Realtors, Buyers and Sellers have to come up with new innovative ways of getting a deal done. This week I was pleased to receive from one of our loyal subscribers a great article from the New York Times, written by Ron Lieber, on what might be the “new tactic” from Buyers and Sellers trying to at least get a deal started. After reading the article, I came to the conclusion that these days it’s not all “Dollars & Cents” that will get you to the closing table. It is all about “Wooing the Other Side”. Go figure? Love Letters they call them (I personally would say they are letters with a lot less love written into them and a little more of a bitter dose of reality). I am talking about a letter addressed to either side delivered by the Realtor, to start a dialogue! Buyers these days have to finesse the Seller, plead their case by complimenting the sellers’ home but also stating the cold hard facts of the current market and the dreary news of what is yet to come. Sellers on the other hand, have to respond to these so called “Dear Seller Letters” with a lot of restraint, be gingerly in their use of words, respond strategically to keep their potential Buyer interested without scaring them away from the deal and appearing not to look as uninformed, unrealistic, stubborn people. So, Philip and I have decided that this might be the most effective tool when submitting an offer. The Realtors always get yelled at when the Seller sees a low offer. People don’t shoot the messenger! We suggest you read the letter…see why the Buyer put in the offer at that number, listen to their reasoning. Let the letter speak for itself. The Sellers then should respond with their counterpoints and suggestions. Who knows? Maybe, just maybe…when everyone is miserable, moody and agitated and both sides give in and compromise a little…we all just might have a deal! 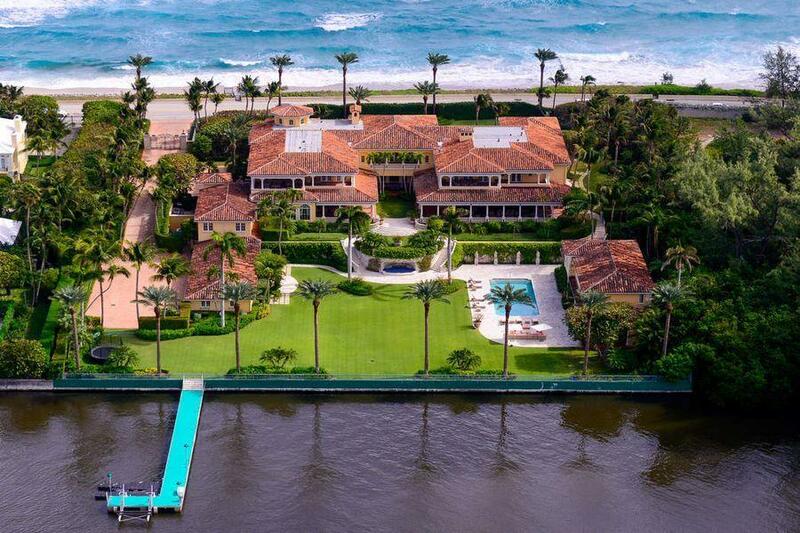 This entry was posted in Broward County, estates, florida, Luxury Resort Portfolio Lifestyle Guide - The Art Of Living Well, Miami-Dade, Palm Beach County, real estate, The Smiths on June 4, 2008 by Luxury Resort Portfolio.